Integrate it yourself or have us lend a hand. 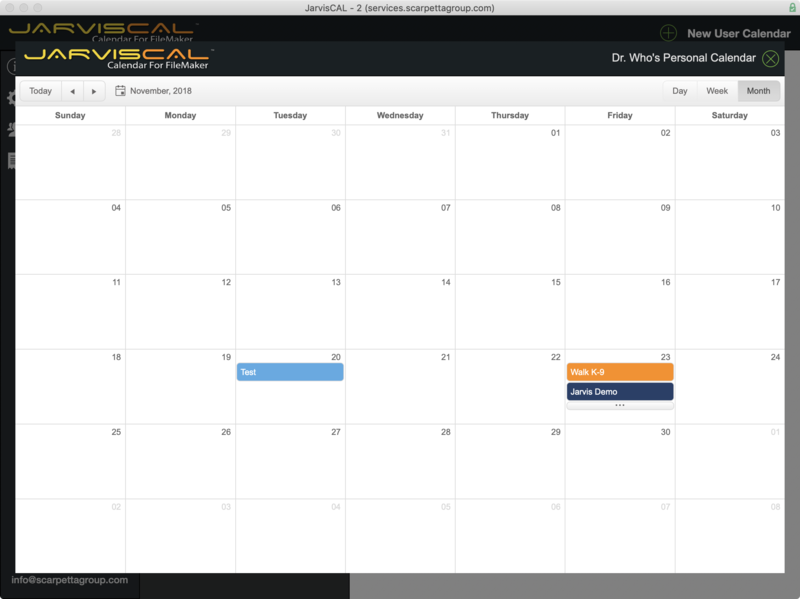 See your day at a glance, easily add a meeting with a couple of clicks. 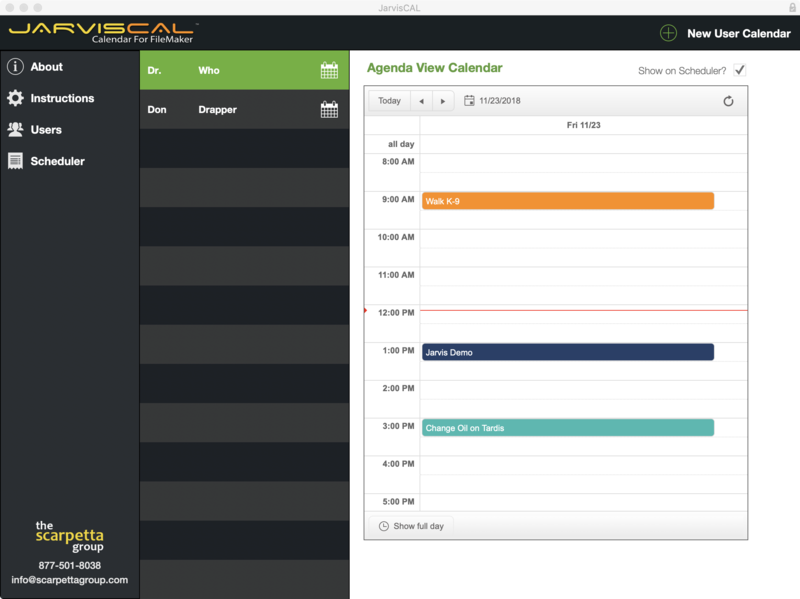 Agenda view was designed for user dashboards. 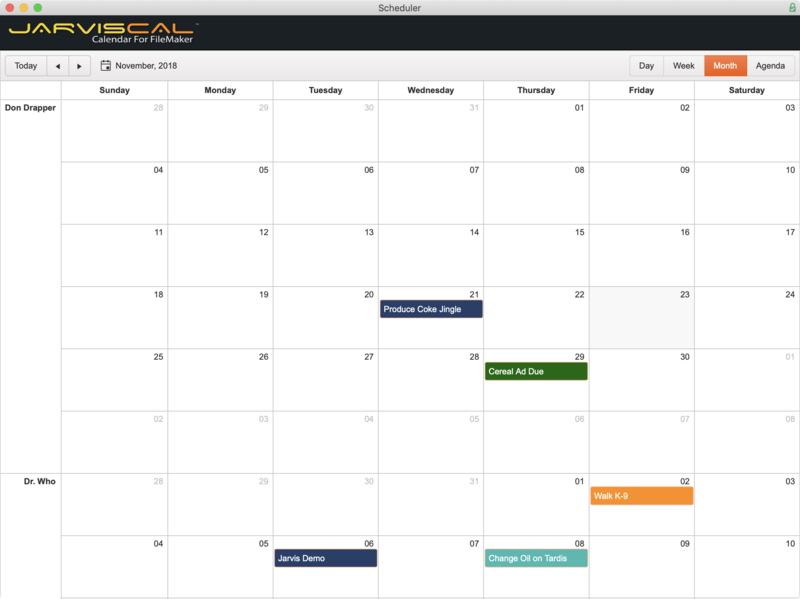 View your personal calendar by Day, Week, Month, and Agenda views. Add events or move events around by drag and drop. 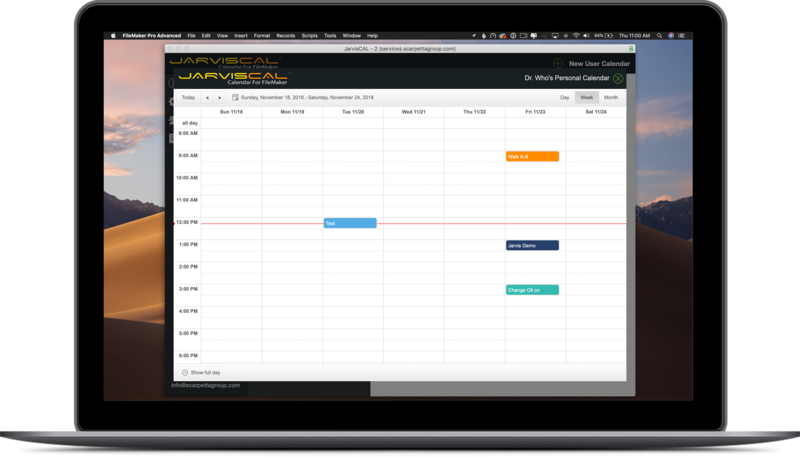 View your entire team, by Day, Week, Month and Agenda views. Know who is available and when with only a few clicks. FileMaker Server 17 with Web Publishing, PHP, XML and the Data API are required to be enabled. FileMaker Pro 17 Advanced is required on Mac and Windows Desktops. © 2008-2019 The Scarpetta Group, Inc. | All Rights Reserved The Scarpetta Group is a FileMaker Business Alliance Platinum Partner specializing in custom applications for Desktop, Mobile and Web. Greenville, SC.